are public information systems at which your customers can retrieve requested information on a touch screen or keyboard. Depending on the application, design and functionality of information terminals are different. Refer especially to the space requirement and the type of attachment. With our extensive range of information terminals (wall terminals, cab terminals and digital signage totems) we can cover almost any application. 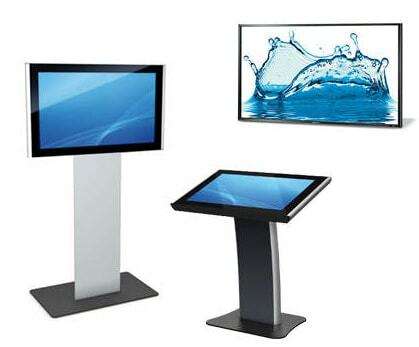 All our kiosks are available with various options. This includes, for example, a touch screen, stainless steel keyboard, payment devices, printers, RFID, etc. By custom color schemes and pasting you give an individual look to your kiosk system.